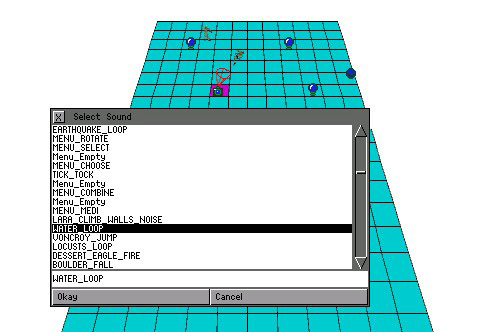 Placing sound loops into your level can greatly enhance the ambience of your games in a unique and special way. For example, the water loop, waterfall loop and fountain loop placed above and around running water will bring your waterfalls, fountains and rivers to life. 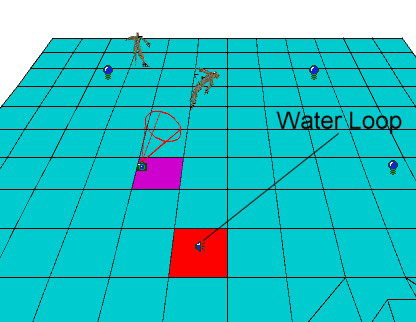 In this example we will place a water loop to give the sound of running water. Personally, I prefer the water loop to the waterfall loop even for waterfalls. First, open the Effects menu and select Sound. Scroll down through the list until you find the WATER LOOP. Place the little speaker icon in your map where you want the water sound to emanate from. You may wish to place 2 or more loops depending on the size of your river or waterfall, so some experimentation may be required. Another thing, before you can hear sound loops in game they must be assigned to the WAD. 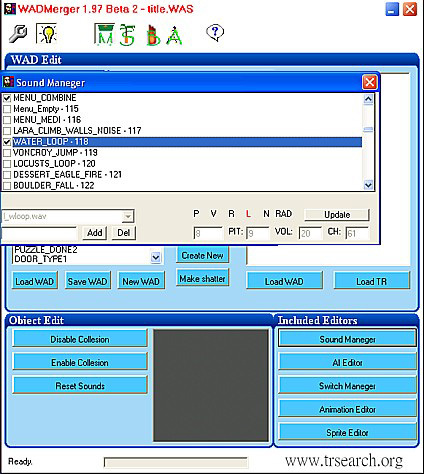 The easiest way to do this is using WADmerger's Sound Manager. Open Sound Manager, scroll through the list to your loop, in this case WATER LOOP, and tick the box if it isn't already ticked. Save your WAD and exit. You should now be able to hear your running water in game. That should be enough to get you started exploring this fabulous little treasure of the Editor.